A 44-year-old man was admitted to the inpatient surgical service through the emergency department with moderate to severe lower abdominal pain. The patient reported several recent episodes of lower abdominal pain for which he was evaluated at different local emergency departments. In each of his three previous emergency department visits, no imaging studies or interventional procedures were performed. The patient had no significant medical or surgical history. On physical exam, he was afebrile and hemodynamically stable. There was tenderness to palpation of the lower abdominal quadrants, mainly at midline, but without rebound tenderness or guarding. Laboratory testing revealed no leukocytosis. 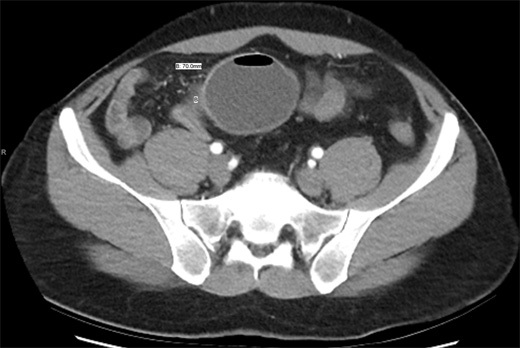 The patient was referred for CT imaging of the abdomen and pelvis, which revealed a lower intra-abdominal 7-cm fluid-filled mass at midline. 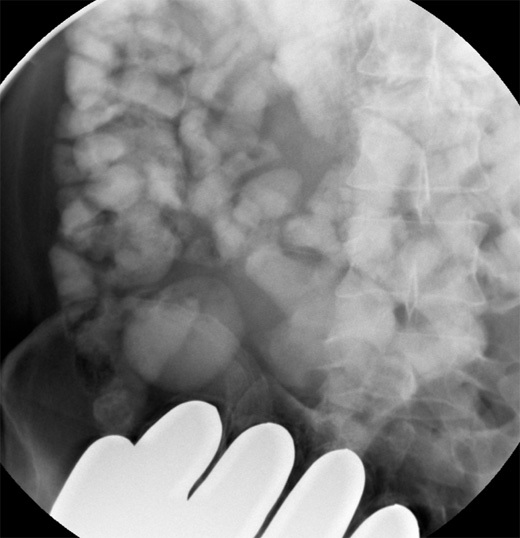 The patient was scheduled for a small bowel follow-through to determine whether this intra-abdominal mass communicated with the small bowel. Axial, coronal, and sagittal contrast-enhanced CT images demonstrate an intra-abdominal 7-cm fluid-filled mass measuring 12 Hounsfield units (HU), which contain antidependent gas. 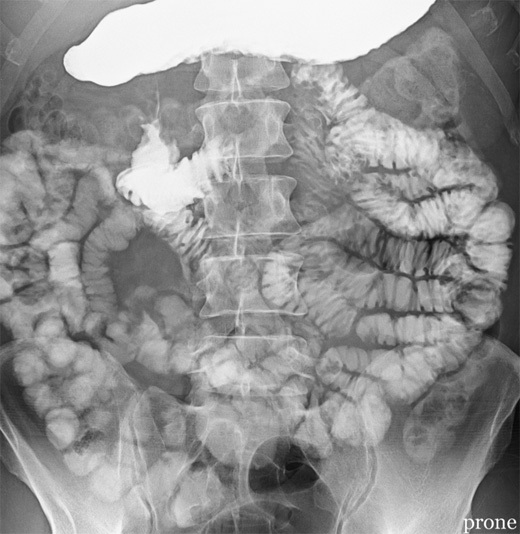 The HU density of this mass is lower in reference to the adjacent small bowel, which measured up to 25 HU. Mild adjacent mesenteric fat inflammatory stranding is surrounding this mass (Figures 1, 2, and 3). Overhead and coned-down images from the Gastrografin small-bowel follow-through examination demonstrate a round, Gastrografin-opacified, blind-ending diverticulum arising from the small bowel at midline (Figures 4, 5, and 6). The patient underwent an exploratory laparotomy and a laparoscopic-assisted small bowel resection. Meckel's diverticulum (MD) with Meckel's diverticulitis was noted on surgical pathology. Giant MD with Meckel's diverticulitis. MD is the most common congenital malformation of the gastrointestinal (GI) tract due to incomplete obliteration of the proximal portion of the omphalomesenteric duct (vitelline duct). It is the only true diverticulum of the small intestine, containing all layers of the small bowel wall. In up to 60% of cases, MD is lined with heterotopic mucosa, with gastric mucosa (62%) and pancreatic mucosa (6%) being the most common. • it is twice as common to have complications in males. MD is asymptomatic in most patients but can become symptomatic and mimic common GI problems. Complications occur in 16% to 30% of patients with MD. The most common complications associated with MD include GI hemorrhage from peptic ulceration secondary to ectopic gastric mucosa (38%), small bowel obstruction (38%), and diverticulitis (28%). Less common complications include intussusception, volvulus, torsion, hernia, formation of enteroliths, and neoplasm. Cases of giant MD (greater than 5 cm) are relatively rare and can be associated with more severe complications, especially small bowel obstruction, torsion, and gangrene. 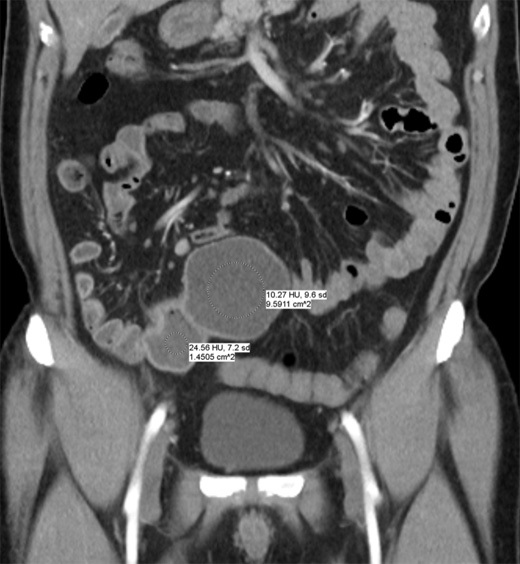 On CT imaging, MD is difficult to distinguish from normal small bowel in uncomplicated cases. 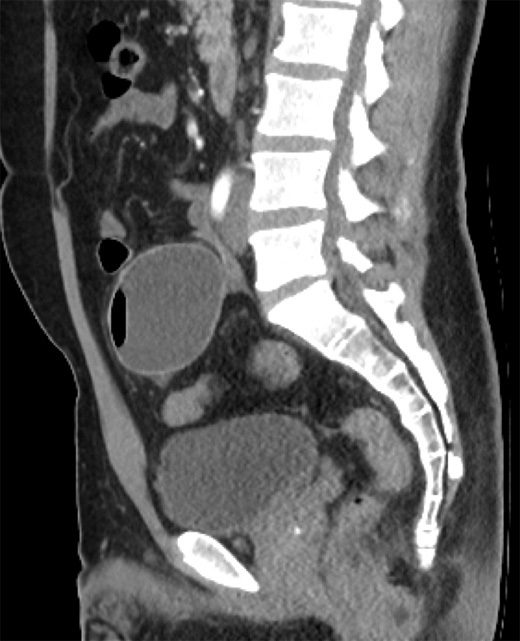 CT may show a fluid- or air-filled blind-ending pouch that arises from the antimesenteric side of the distal ileum. It is possible for MD to invert and appear as an intraluminal polypoid lesion. Midline and right iliac fossa location are the most common for MD. 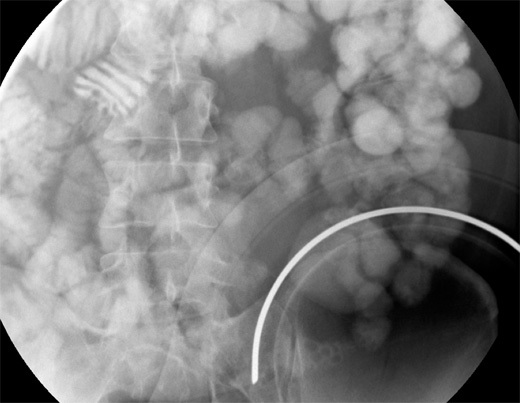 MD is not often seen on routine barium studies because of its small ostium, filling with intestinal contents, and peristalsis with rapid emptying. However, if seen on barium studies, MD appears as a blind-ending pouch filled with contrast. Filling defects in the diverticulum may suggest gastric mucosa or tumor. Clinical symptoms of complications associated with MD include abdominal pain, nausea, vomiting, fever, bilious vomiting, abdominal distention, constipation, and GI bleeding. Surgical resection is recommended when complications occur, but resection of asymptomatic MD is controversial among surgeons. — Alex Merkulov, MD, is an associate professor of radiology at UConn Health. 1. Kotha VK, Khandelwal A, Saboo SS, et al. Radiologist's perspective for the Meckel's diverticulum and its complications. Br J Radiol. 2014;87(1037):20130743. 2. Sagar J, Kumar V, Shah DK. Meckel's diverticulum: a systematic review. J R Soc Med. 2006;99(10):501-505. 3. Martin JP, Connor PD, Charles K. Meckel's diverticulum. Am Fam Physician. 2000;61(4):1037-1042, 1044. 4. Singh DR, Pulickal GG, Lo ZJ, Peh WC. 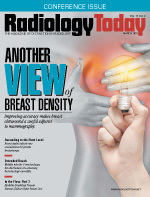 Clinics in diagnostic imaging (162). Meckel's diverticulum. Singapore Med J. 2015;56(9):523-526; quiz 527.